There's three more weeks until my birthday (soon I'll be 23, eek!) so I would like to share my birthday wish list. There's not so much that I want this year, I'm mostly doing this list because it's fun. That's why you might see random items on it as well. 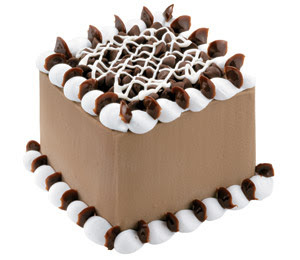 And last but not least, the greatest collaboration of all time...Ice Cream Cake! That watch is nice, hope you get it. Icecream cake never fails. @Rai, it smells soo good! @HNB thanks and ice cream cake is the best! You love your gift cards lol! Natalia also wants a gold watch for her birthday.